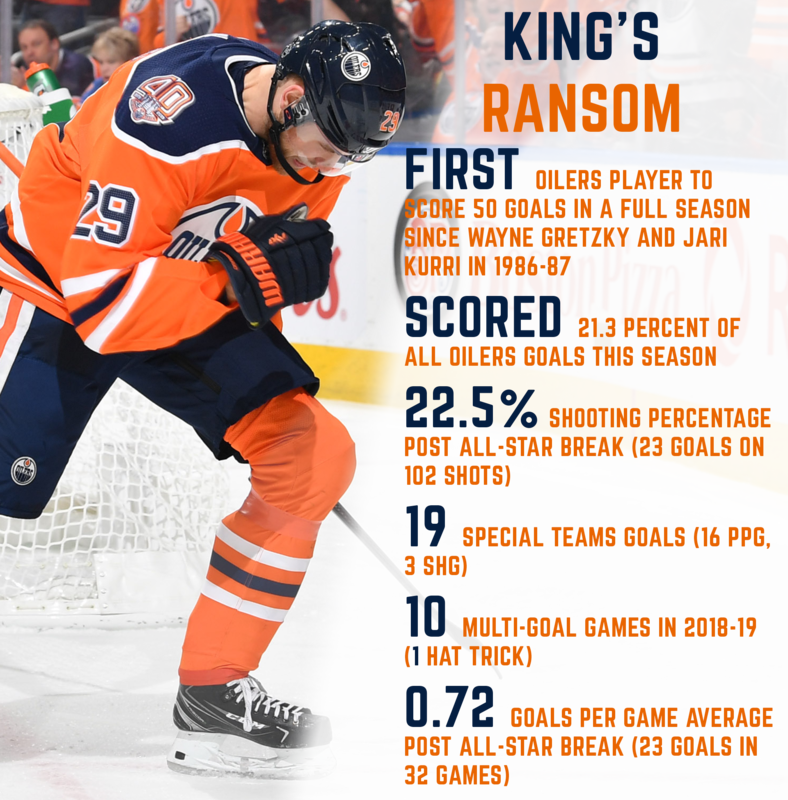 eon Draisaitl ruled the 2018-19 season. He was the king slayer against Los Angeles when he collected his first career regular season hat trick. He decided outcomes versus the Bruins, Sharks and Rangers in overtime duels. He scored 16 power-play goals and ended the year with 105 points to place fourth in NHL scoring. He unearthed an uncanny ability to deposit pucks in from anywhere on the ice and in any form, using unpredictability to his advantage throughout the season. "I knew that I had to put that into my game," Draisaitl continued. "It's going to make me more dangerous. It's something that I've been working on and something that I'm going to continue to work on." In true leader fashion, Draisaitl remained modest, while all the king's men revered the German stalwart for his remarkable campaign. "What an achievement by Leon," said Alex Chiasson. "The one thing this year Leon has shown is how good of a player he is and how good he can be for this organization moving forward. "He doesn't have to play in Connor's shadow anymore. He's that good of a player." Managing Draisaitl was a simple objective for Oilers Head Coach Ken Hitchcock, who marvelled at the forward's on-ice tyranny. "Really, all I had to do was lift the latch," Hitchcock said. "I don't want to say it was easy but it was much easier than I've had before… I think he can absolutely dominate the game in all three zones if he plays centre." 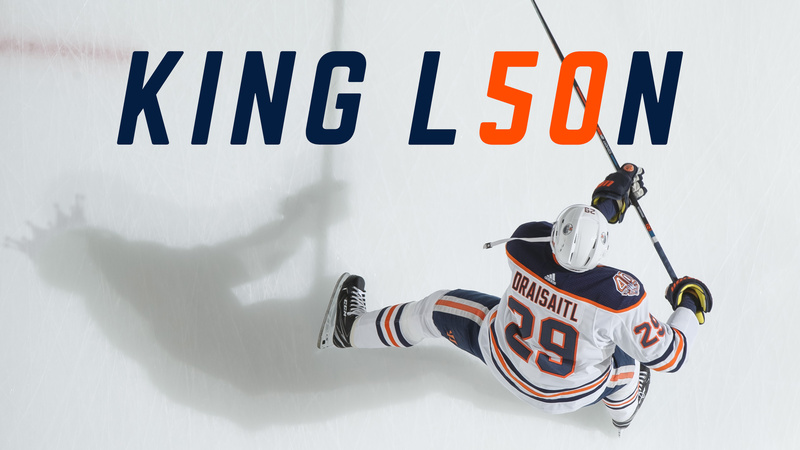 It was his first time scoring 50 goals in a season but it may not be his last. King Leon isn't setting himself up with any added expectations for when next year rolls around and simply wants to continue his legacy. "I'm going to come back next year and try to do it again," said Draisaitl. "That's what we do. We try to prove ourselves every year, prove ourselves to people, prove ourselves to the organization. I'm going to work hard in the summer and try to do it all over again." 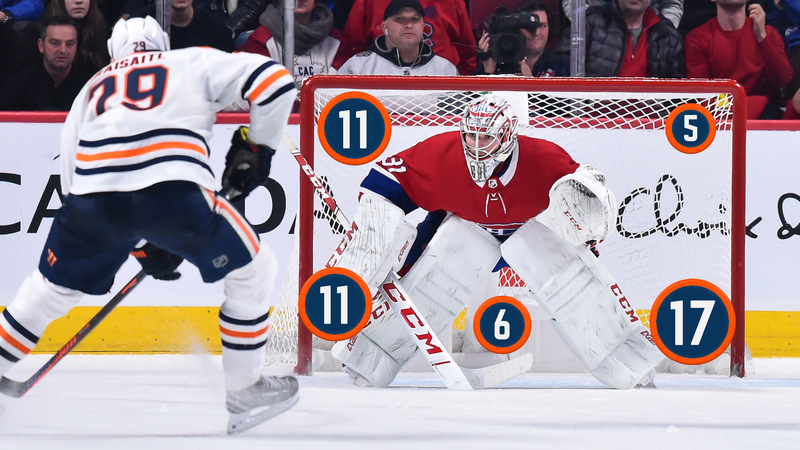 Each and every Sunday during the season we dig deeper into Oilers storylines with our long-form features.